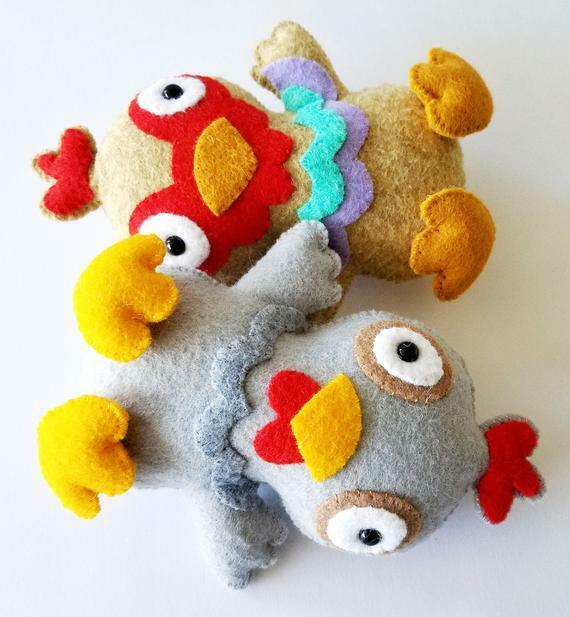 The bluebird, chick, hen and rooster softie toys are fun and simple to make from scraps of felt. They are each approximately 4 1/2” wide by 5 3/4” tall. 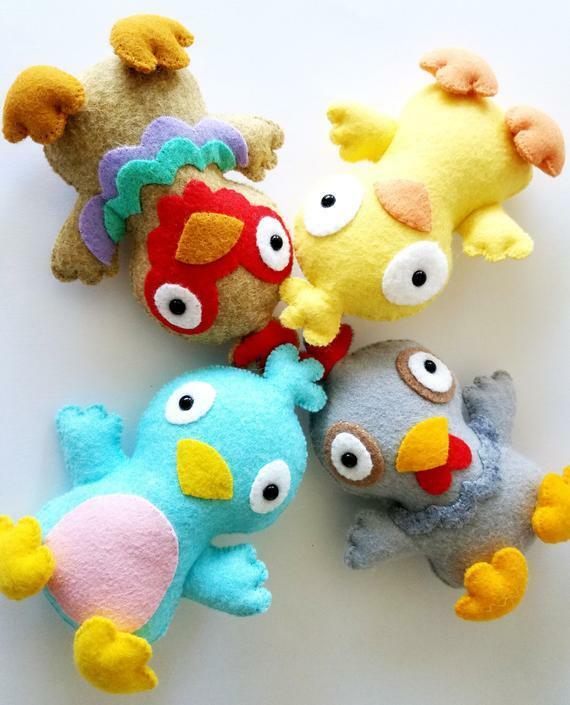 Patterns can be enlarged or reduced to make the softies any size that you would like. They are stitched entirely by hand, using a whip stitch around the felt edges. 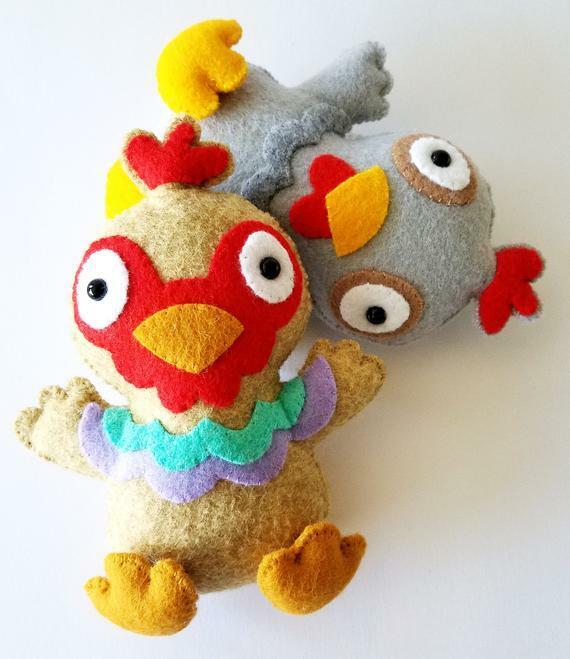 This 6 page PDF e-pattern includes full size patterns to make the softie toys, a materials list, detailed instructions written in English, and clear step-by-step photos. Earn 5 points at checkout OR buy this item for 100 points. 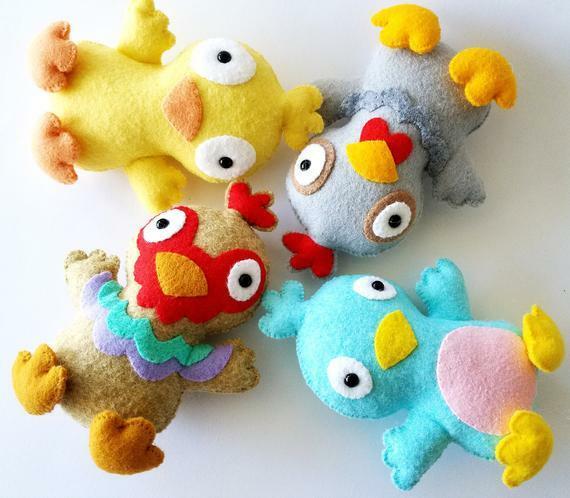 The bluebird, chick, hen and rooster softie toys are fun and simple to make from scraps of felt. They are each approximately 4 1/2” wide by 5 3/4” tall. 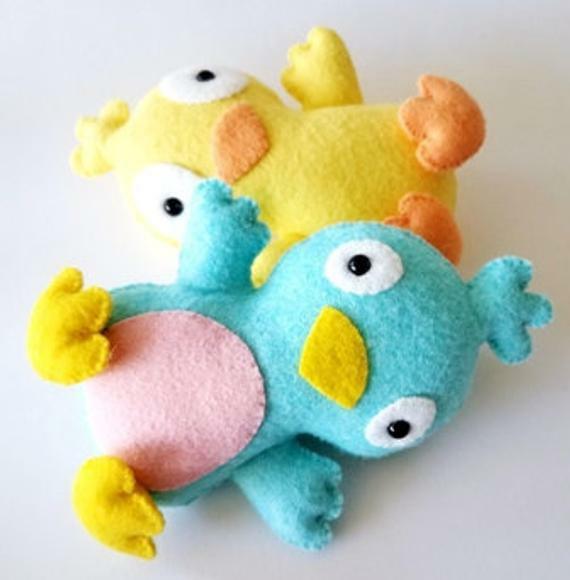 Patterns can be enlarged or reduced to make the softies any size that you would like. They are stitched entirely by hand, using a whip stitch around the felt edges. 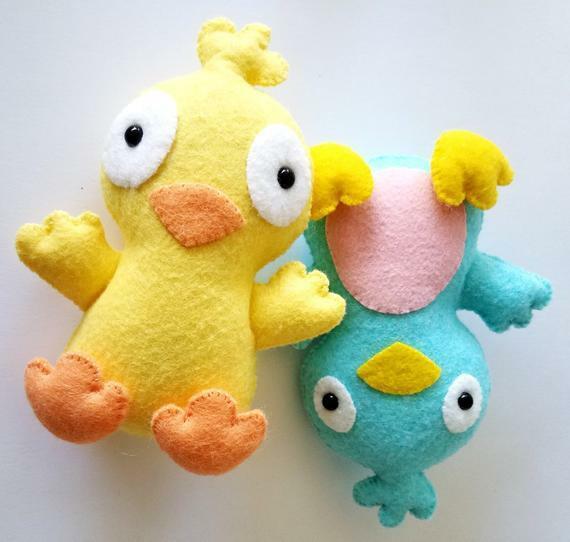 This 6 page PDF e-pattern includes full size patterns to make the softie toys, a materials list, detailed instructions written in English, and clear step-by-step photos.